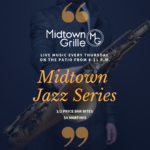 Join us for live jazz music every Thursday on the patio at Midtown Grille from 8 until 11 p.m as part of our Midtown Jazz Series. 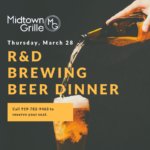 We are excited to team up with R&D Brewing for a special beer dinner on Thursday, March 28 at 6:30 p.m. 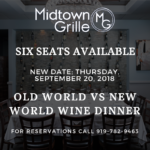 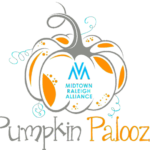 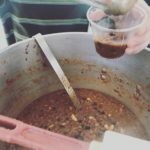 Chef Marshall Smith is putting together an awesome four-course menu that we will share with you soon. 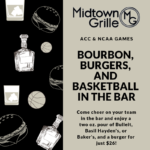 Come cheer on your team in the bar during the NCAA and ACC tournaments and enjoy a two oz. 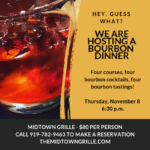 pour of bourbon and a burger for just $26! 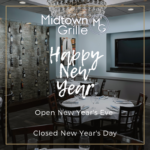 We are celebrating the new year at Midtown Grille with awesome specials that you do not want to miss. 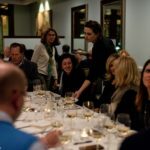 We will be open on New Year’s Eve from 11:30 a.m. until 3 p.m. for lunch, from 3 p.m. until 5:30 p.m. for half-price bar bites, and from 5:30 p.m. until 10 p.m. for dinner. 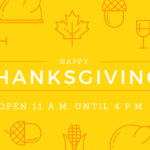 We will be closed on New Year’s Day.